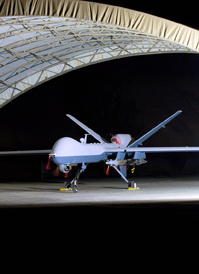 Are strikes by unmanned aircraft ethical? Unmanned “drone” aircraft controlled from remote video consoles are being used in increasing numbers by the U.S. military in Afghanistan and by the CIA in Pakistan and other places outside of recognized war zones. Some scholars argue the CIA strikes in Pakistan are illegal, while others say they comply with the laws of war. The spread of armed drones, along with resulting civilian deaths, is raising ethical concerns as well as questions about drones' effectiveness. The U.S. military now possesses some 7,000 drones, and more than 40 nations, including Iran and China, have drone technology. Unmanned aircraft are being used for everything from border control and environmental monitoring to drug interdiction and building inspections. Some policy experts worry that as drones expand worldwide, they not only could make the United States a more potent military force but also put it at greater risk of attack from enemies possessing the technology.